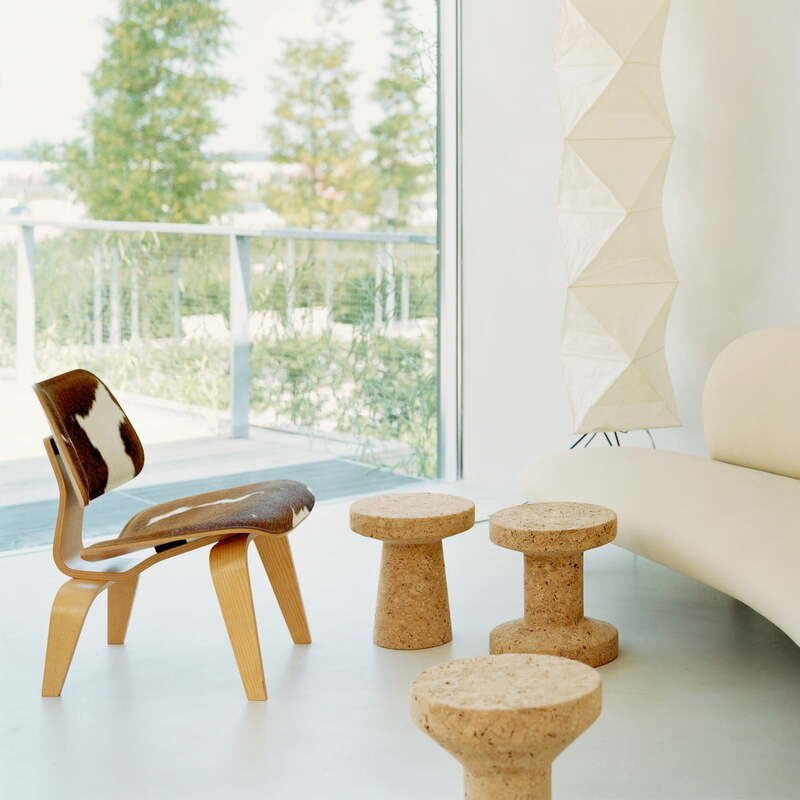 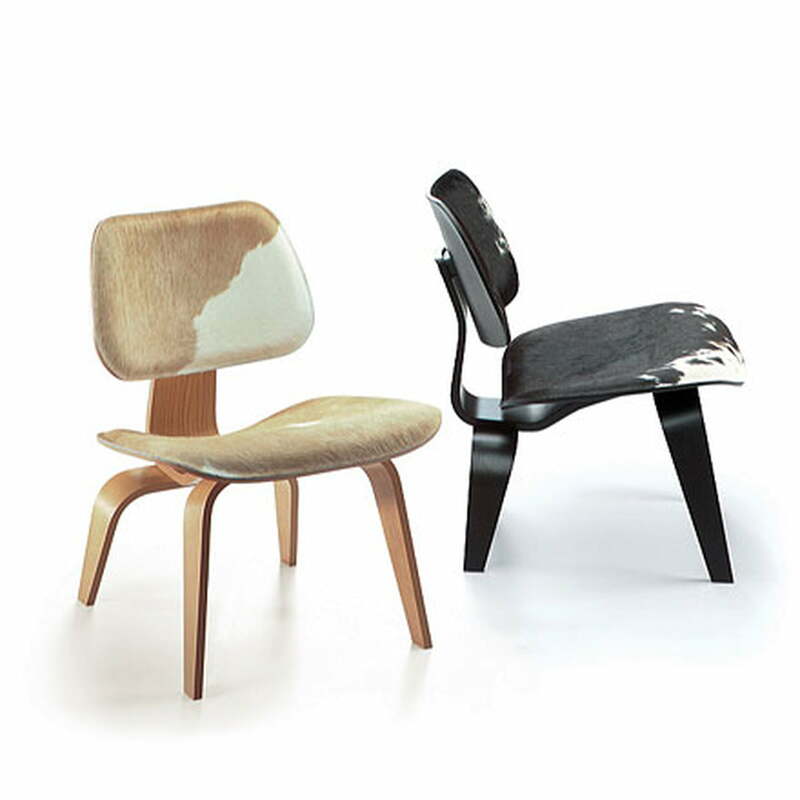 The LCW chair is part of the Plywood Group collection by the design couple Charles & Ray Eames. 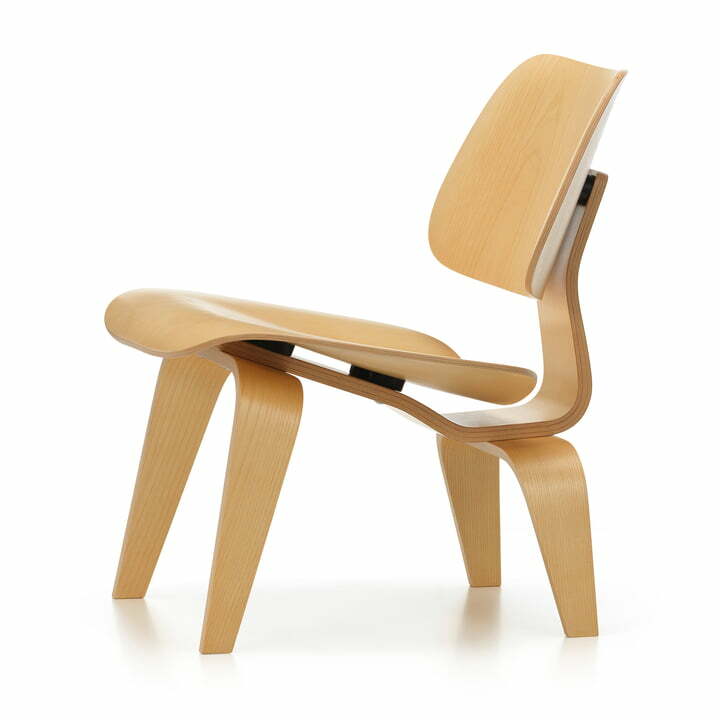 LCW stands for Lounge Chair Wood and thus describes exactly the essence of the chair: an elegant lounge chair, made entirely of the best wood. 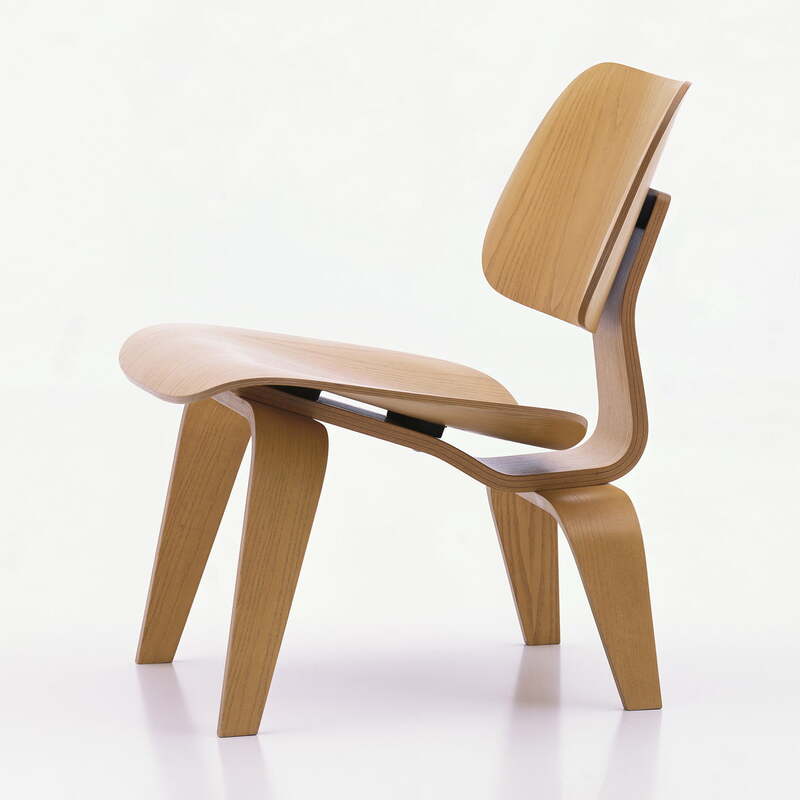 In many years of experimentation, Charles and Ray Eames sought new methods of optimally adapting three-dimensionally shaped plywood to the shapes of the human body. 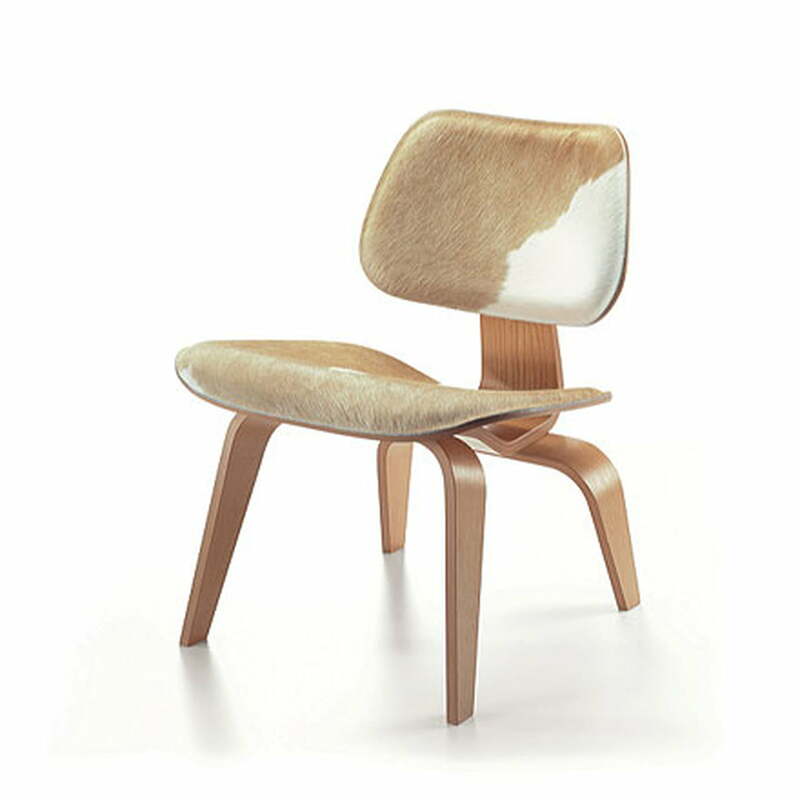 The LCW, with its seat, backrest and moulded plywood basess, is now also available in a hide cover, as introduced at the 1946 launch. 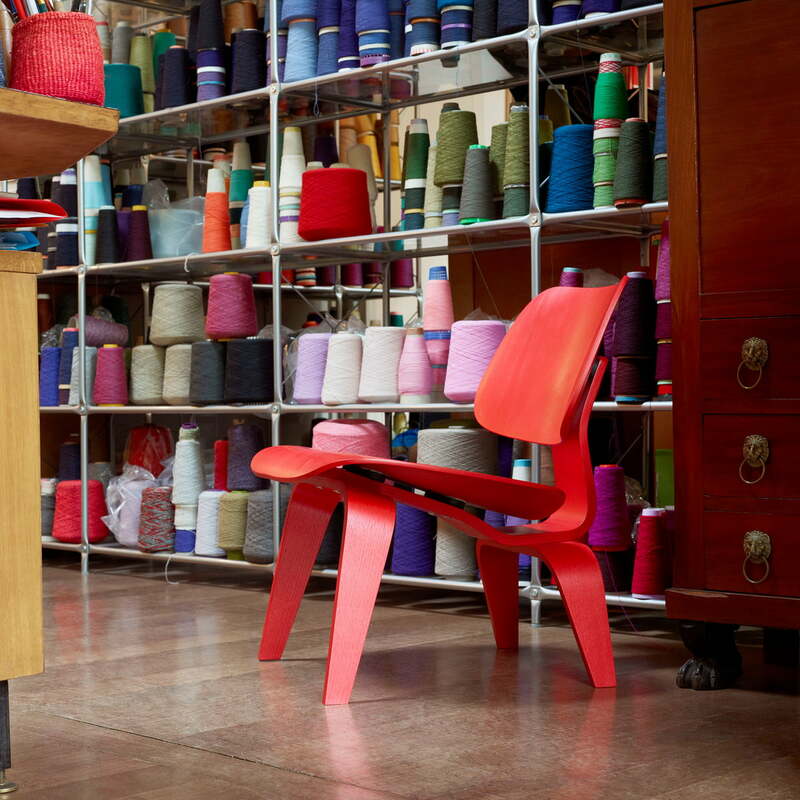 The LCW chair is also available in other colours and with a hide cover. 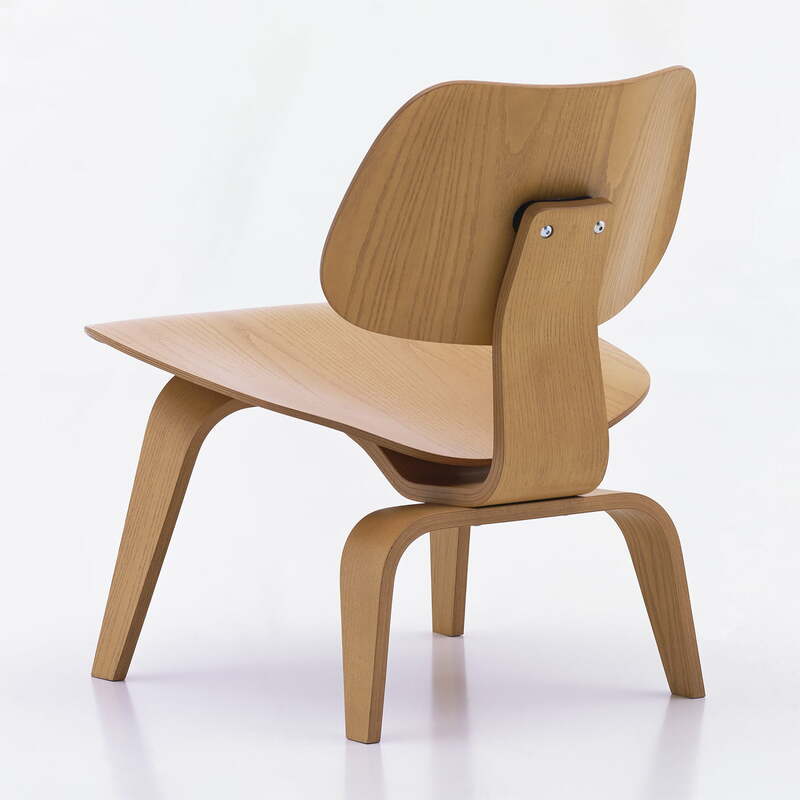 Lifestyle product image of the Vitra - Plywood Group LCW in stained red ash: Thanks to its eye-catching colour, the chair is a real highlight in any environment. 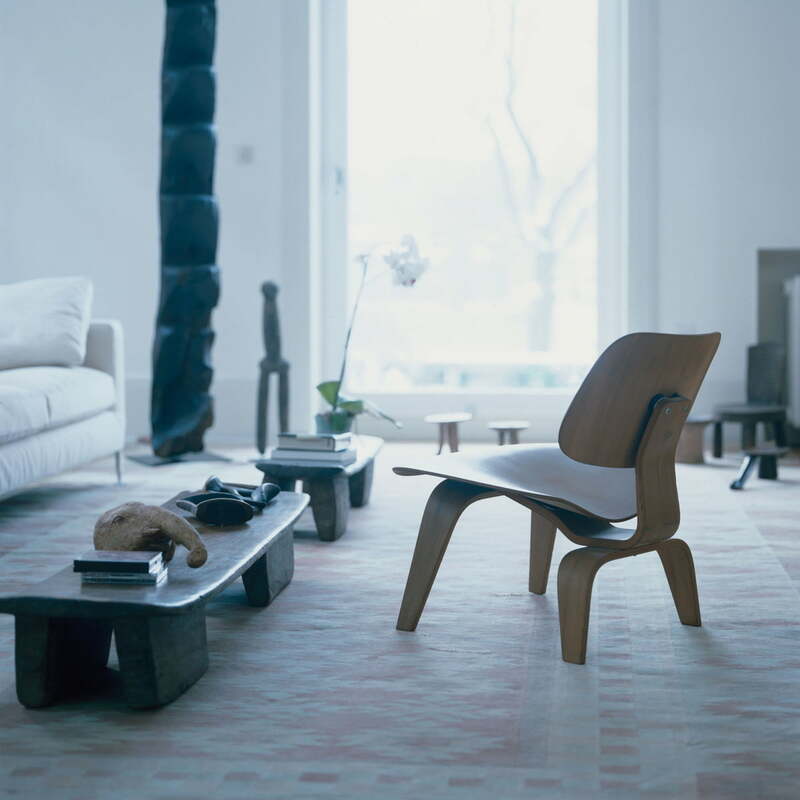 Lifestyle product image of the Vitra - Plywood Group LCW in stained red ash: In the living room, the Plywood Group LCW provides a touch of elegance to the interior.